Each and every summer Sportswave.ca covers and attends their now named Scotiabank Field at Nat Bailey Stadium that continues to sell out various game days. 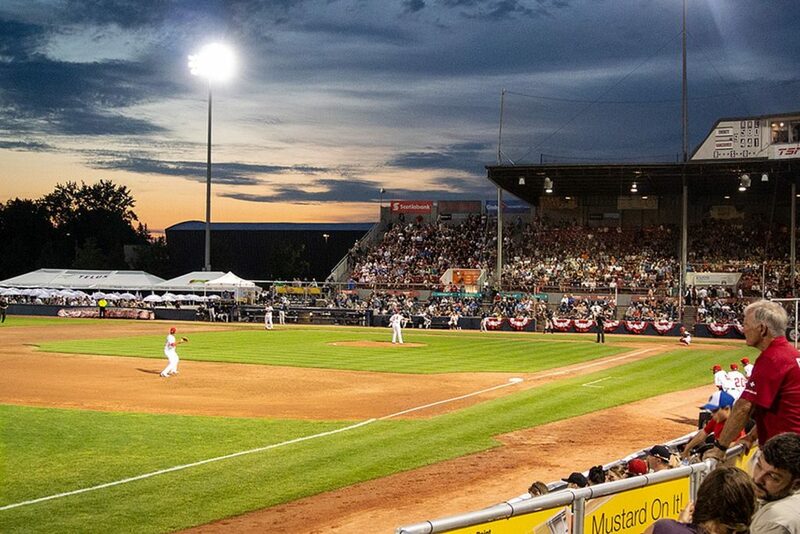 The stadium seats 5,132 and is unique and well known around not only the west coast, but even as far back as London Ontario’s Labatt Park where the London Majors play. Given all the recent additions the park has undergone some might be on the planning books so as to give the added “fan experience” for fun. Things that some fans have mentioned are that they would like to see them have the use of debit cards, rather than just credit cards, which not everyone has or can obtain for various reasons. 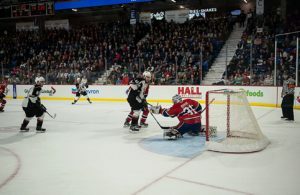 They currently have a large screen used for re-plays fan interaction or games to entertain all of which are truly a fan experience unto itself. Now I am hearing that the Las vegas Ballpark will install the largest LED screen of all teams/clubs in the minor leagues. 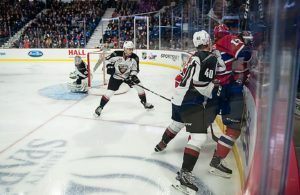 It’s reported that it will be five times bigger than five screens of five big league teams, according to a spokesperson for the Howard Hughes Corporation. The new LED video screen will have almost 4,000 square feet, which will be the largest in all of minor league baseball. It’s reported that it will be bigger than MLB teams such as the Pirates, Dodgers, Orioles, Jay’s and the Ray’s. As one might expect if you are familiar with scorekeeping the screens are being designed by South Dakota home based company and firm Daktronics. 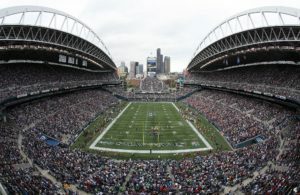 The company currently has worked on LED displays for the Mercedes Benz Stadium in Atlanta as well as Anaheim’s Angel Stadium and is also behind other displays in Vegas, one being located at the T-Mobile Arena. 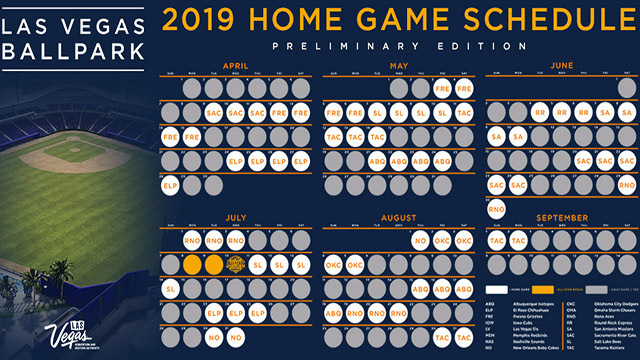 It’s reported that the first game is scheduled for the new ball park April 9th as they host the Sacramento River Cats of the Triple A Pacific Coast Baseball League. 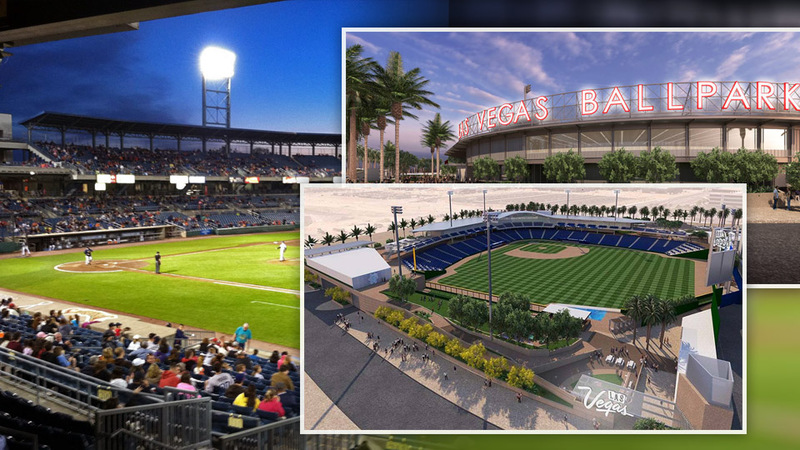 It’s reported that the Las Vegas Ballpark will host civic, community, nonprofit and sporting events created to make a festival-like atmosphere. The site will be landscaped and will provide a wide range of seating options including 22 suites, party zones and decks, a kids’ zone, bars and a pool beyond the outfield wall. The new ball park is located at 1870 Festival Plaza Drive, Suite 190 and despite what happens in Vegas, make plans to attend the home opener at the “Nat”!! !